Do you like Golems? Well now you can create up to 22 different types. 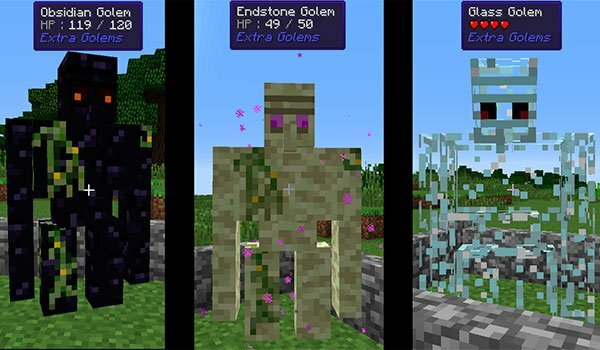 Extra Golems 1.12 and 1.12.2 is a mod that will allow us to create a lot of types of Golems, which differ mainly by the material through which they are built. These new golems has parameters and variables of life and force, that is, depending on the material used to create the Golem, we have a more or less powerful Golem. The building materials are diverse (22 so far). Low to high power: straw, wool, wood, bookstores, sandstone, lapis lazuli, iron, infraladrillos, compact ice, gold, stone end Glowstone, crystal, obsidian, emerald and diamond. There are also variants of texture, both wooden golems, and for wool golems. 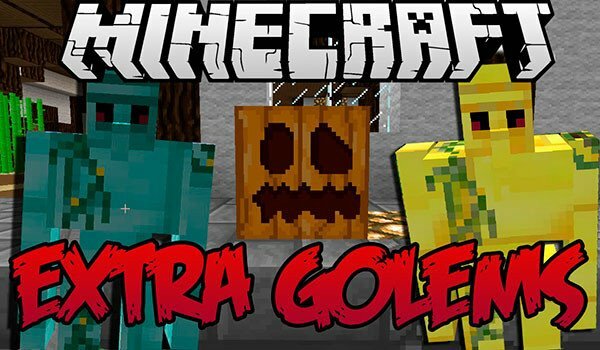 How to install Extra Golems Mod for Minecraft 1.12 and 1.12.2? ¡Protect your property with more than 22 variants of Golems!